The North Korean authorities have summoned several key ambassadors to Pyongyang for envoys' meeting amid increased tensions on the Korean Peninsula in the wake of Pyongyang's missile and nuclear program and the new round of UN sanctions against the country, local media reported Monday, citing a source in the government. MOSCOW (Sputnik) — The outlet added that the North Korean ambassadors’ meetings were held almost yearly, with the last meeting taking place in July 2015. 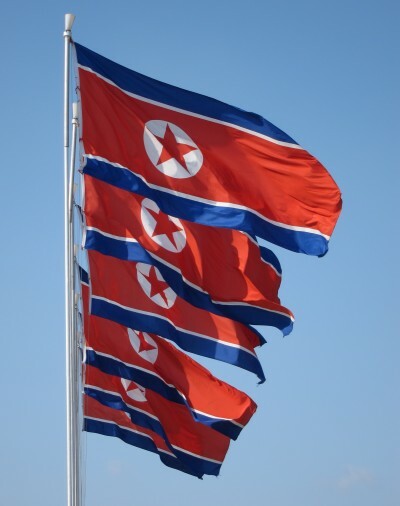 “North Korea seems to be hosting what appears to be a meeting of foreign diplomatic missions’ chiefs after calling its ambassadors to major countries back to Pyongyang,” the source was quoted as saying by the Yonhap news agency. According to the media outlet, the source said that North Korean Ambassador to the United Nations Ja Song-nam, Ambassador to China Ji Jae-ryong, Ambassador to Russia Kim Hyong-jun would take part in the meeting, however, it was still unclear who else would participate in the upcoming gathering. Moscow and Beijing called on Pyongyang to stop nuclear tests and urged Washington and Seoul to refrain from conducting joint drills. Russia and China called those parties involved for conducting a dialogue amid the recent escalation of tensions on the Korean Peninsula. The tensions around North Korea have been high over recent months and escalated further after the tightening of economic sanctions against North Korea by the United Nations Security Council (UNSC) on August 5 in response to July’s launches of ballistic missiles by Pyongyang. The move prompted harsh criticism from Pyongyang which subsequently vowed to use any means possible to retaliate against the United States after the UNSC approved the new US-drafted sanctions. US President Donald Trump in turn, warned, that North Korea’s possible actions would be met with “fire and fury” from the United States. Following the statement, Pyongyang said it considered an attack near the Pacific island of Guam where several US military bases were located. The White House said in a statement on Saturday, that Trump had held a phone conversation with his French counterpart Emmanuel Macron, stressing that the United States was ready to apply all available measures, including the military ones, to settle the North Korean nuclear issue.